I experimented to see if I could make a delicious crepe using only quinoa for the flour–it turned out awesome! This protein-packed crepe recipe is made from four simple ingredients: quinoa, milk, eggs and salt. With a blender such as a Blendtec or Vitamix, you can blend whole grains for 90 seconds, such as quinoa in this case, to make your own fresh flour, then simply blend in the milk, eggs, and salt for a crepe batter. I’m so excited that we now have this simple and nutritious boost to our crepes. I hope you enjoy it too. 1. Place nearly 1 cup rinsed and dried quinoa in industrial strength blender. I use a Blendtec and blend on level 9 for 90 seconds to make flour. Leave 1 cup of flour in blender. 2. Add milk, eggs, and salt. 3. Blend until smooth. 4. 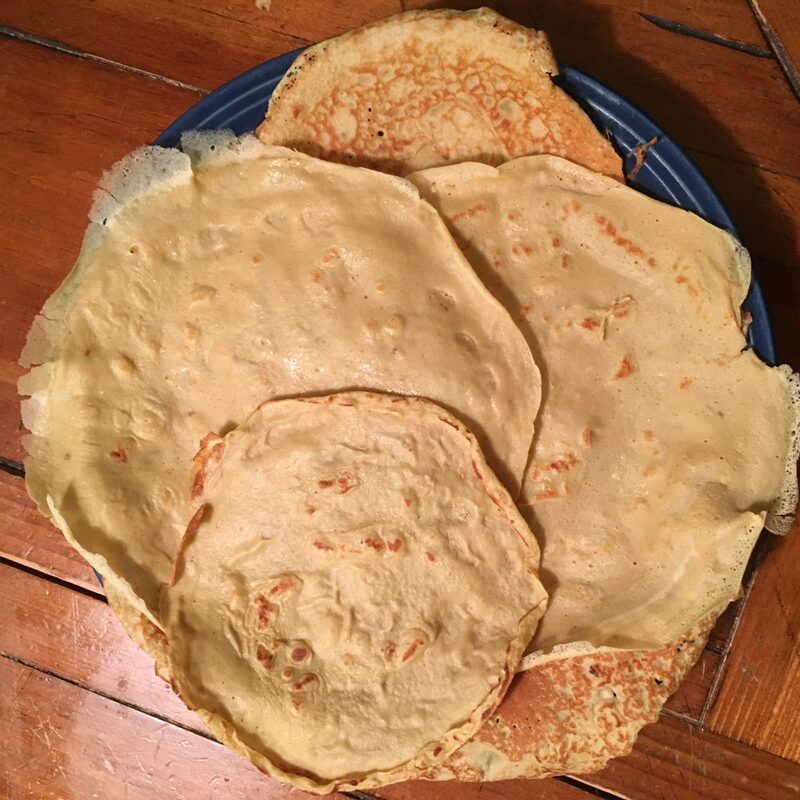 To cook crepes, put a little spray oil in an 8" or other pan over medium heat. Pour appx. 1/3 cup batter into pan while swirling pan in circular motion to spread it thinly and evenly. Replace on stove to cook for a minute or so. Flip when spatula can slip under the side.